In the world of business, planning is an extensive process that plays a crucial role to the company’s overall operations. Company meetings are conducted to strategically develop these plans. They discuss issues that need to be addressed and a call to action. They work on preparing themselves for probable obstacles that may slow down operations and lower sales. A plan, such as a marketing plan and a training plan, is designed carefully to meet the needs of the company. 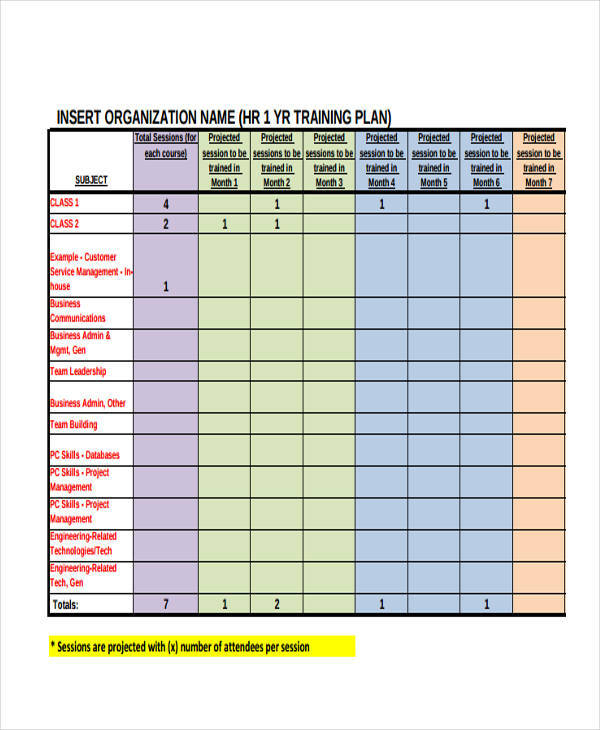 A training plan is a detailed proposal for a training program. 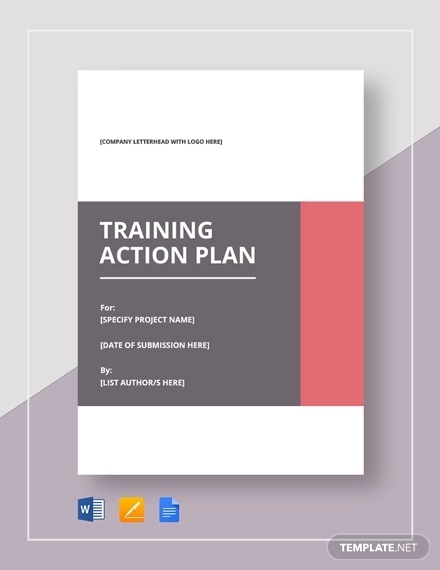 It serves as a guide for the planning process and its delivery. 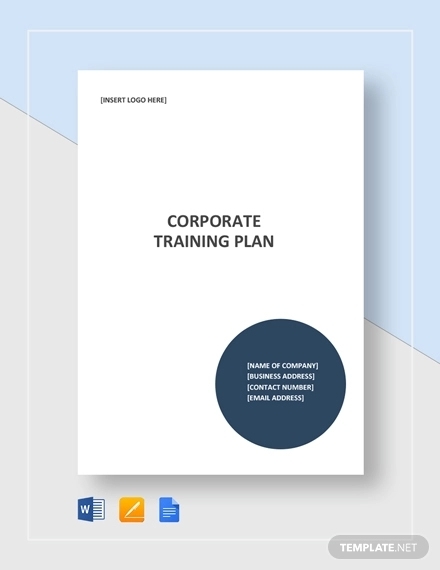 A good training plan also involves a strategic plan as you work on developing something that is effective and beneficial to both the trainee and the company. It involves seminars, orientations, hands-on activities, and the like. Learning has no limit. It’s an ongoing experience that develops one’s growth. With how competitive the corporate market can be, companies work on developing competent employees through proper training programs. 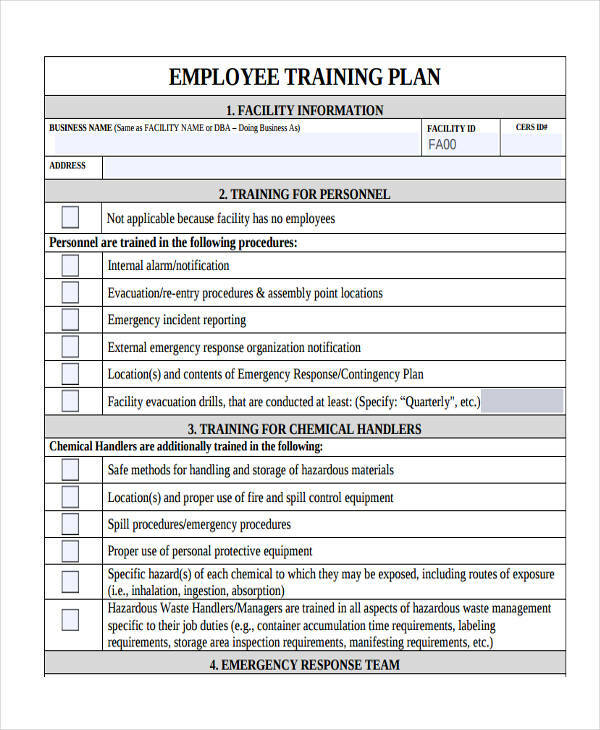 To conduct effective training, they must first develop a training plan. 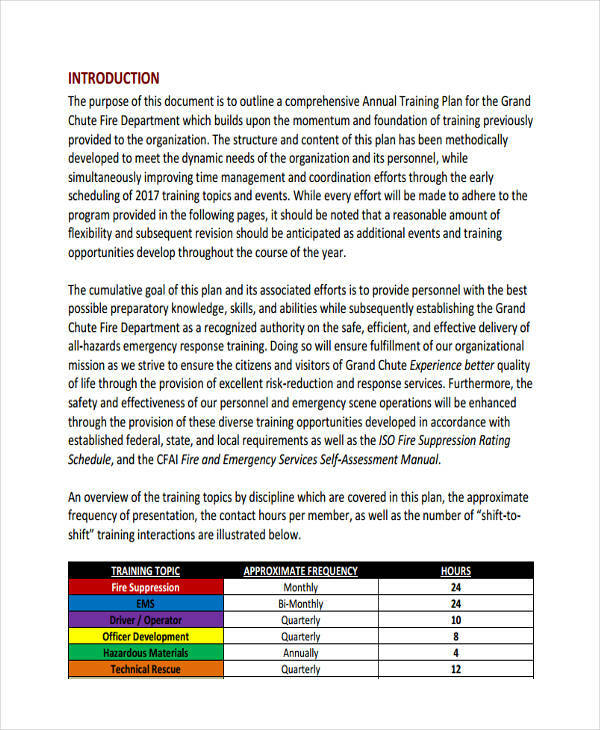 A training plan, similar to a risk plan, ensures that the defined objectives are met. This will also avoid time and resources from being wasted. Of course, you would want your trainees to undergo a program that fits corporate standards. To do so, you need to design a training plan that works. A training plan, like a marketing plan, doesn’t have to be perfect at first but it should be enough to get you started. To begin with, you need a goal. Once your smart goal has been established, then you will be able to identify the benefits that a trainee can gain from the experience. 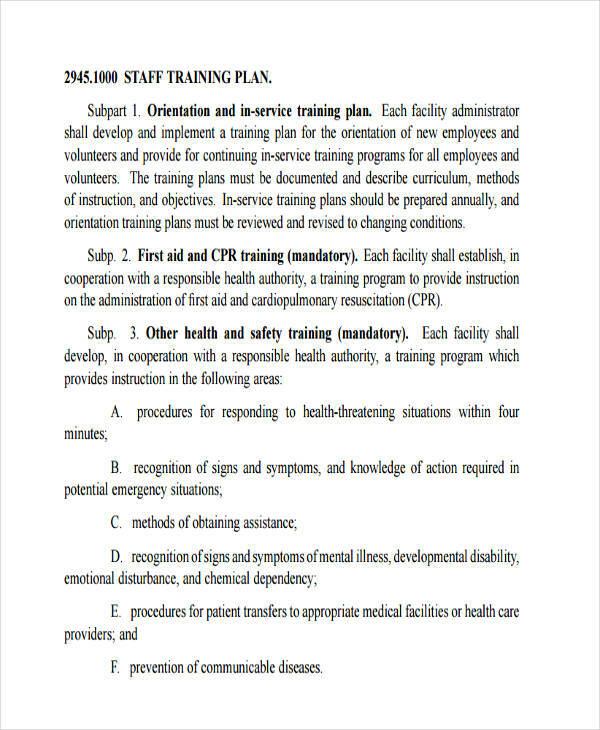 However, you need to determine which employees need training and how it could be conducted. 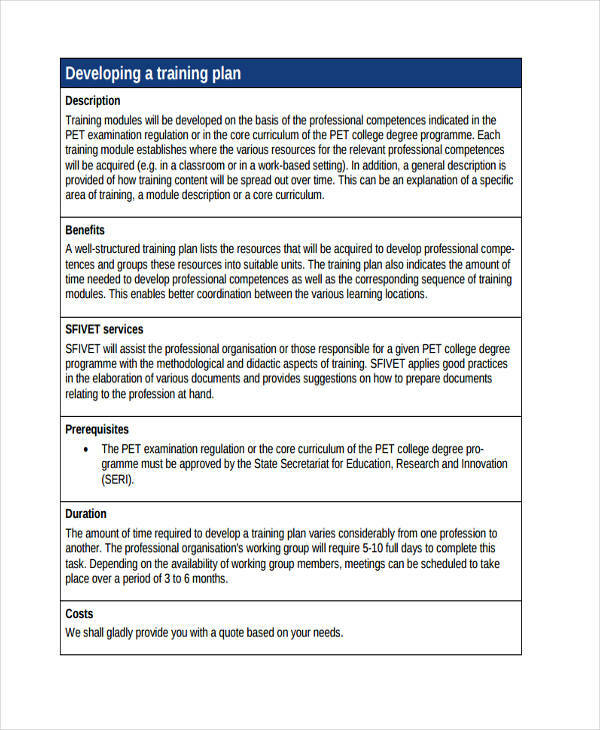 Take note that the training should focus on a department that requires training on the same subject. 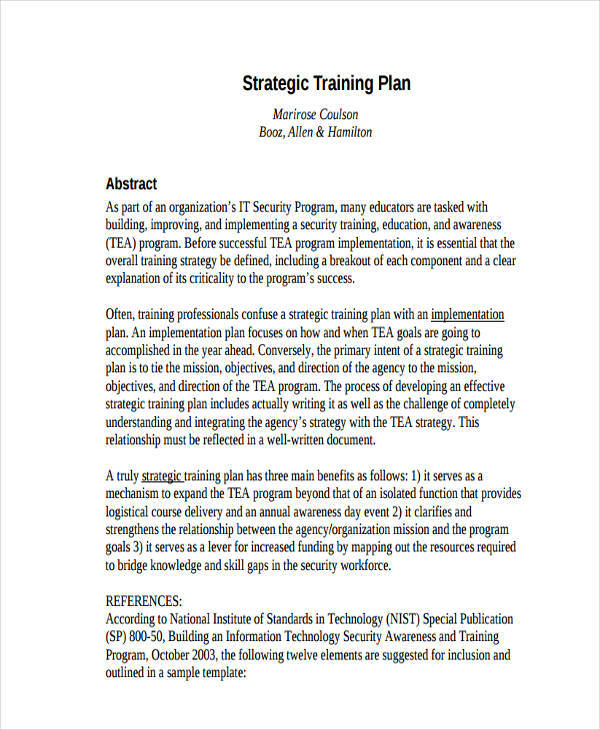 You will also need to identify the proper resources that will be used for the training program. Focus on the defined goals. This will help you develop a strategy for your plan. Design the right lessons. Each lesson has an objective to attain. You need to prepare the proper resources for these lessons as well. Challenge your trainees. You need to be able to challenge your employees with activities that work on improving their performance. 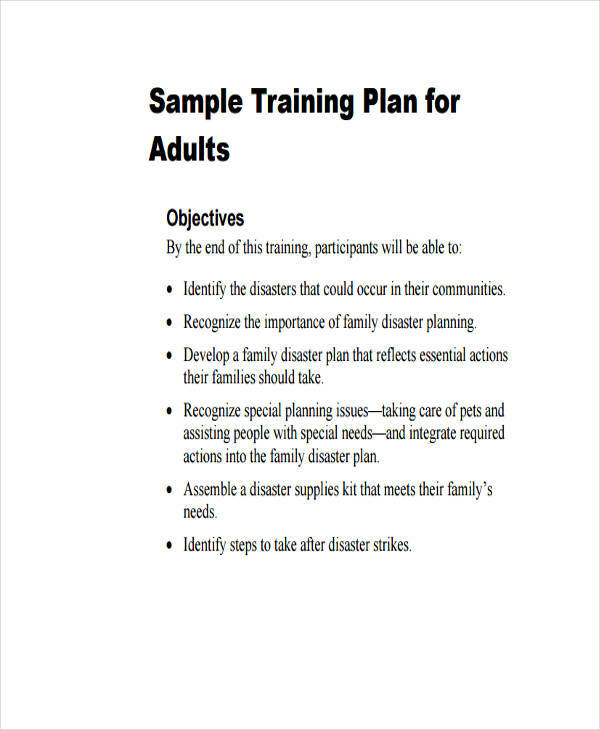 Make a training plan that will test their knowledge and skills. Outline activities. Make the specifics of your methods clear. It might be necessary to add supporting details for each. Select qualified trainers. 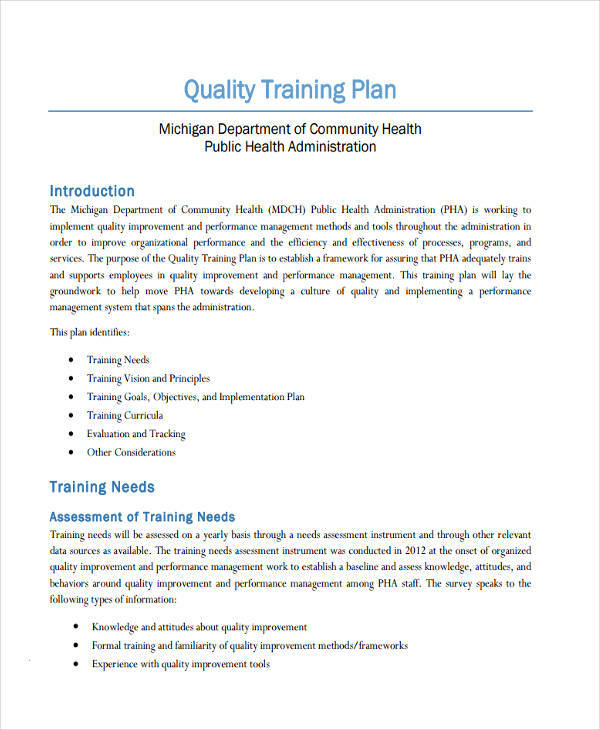 They must possess the qualities and experience that will help deliver your training plan efficiently.